Be prepared before you go into the interview, have questions that you want to ask. By asking questions about the position, or the company, it shows the interviewer that you are interested. While having great answers to their questions is fine, you also need to assert yourself just a little by having some questions to ask. Make sure you are clear about what you want and what you can offer to the company. Be both thoughtful and truthful – show the interviewer that you know yourself – what your weaknesses are and what strengths you possess. Be prepared to tell the interviewer what you can change if you need to and how you can achieve that – IE taking on a TAFE course or some form of other study. Most of us assume that our lives are just the same as everyone else’s or that we are just average and boring, so, as a result we just don’t *learn* to tell our story in a compelling way. Your story is much better than you think it is, who you are, what you’ve learnt, things you failed at, your achievements – all of this is unique just to you! It’s your story that helps an interviewer know who you are as a person, so learn your story and tell it well. Telling your story and telling it well will give you confidence; it will set you apart from other candidates and brings your resume to life. You’re probably wondering what to tell – think about all the big chapters in your life and arrange them in order. Do you have any stories to share that are meaningful to you, a holiday, a special event, your story doesn’t have to be dramatic just something that shows another side of you. Do you have passions, hobbies, what is important to you; are you a leader, a teacher, a risk taker? What gives you the most joy? Take some time to reflect on your career path, where you are now and where you hope to be. Are you a motivated person? Do you like to be a leader? A team player…. 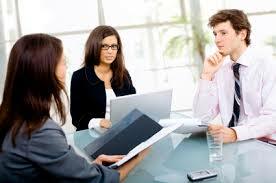 Now that you have your story together, practice it and don’t wait until the interview to tell it for the first time. As you become more and more comfortable with your story you’ll see your life isn’t boring and wasn’t made up of just *random events*. So when you’re asked *Tell me about yourself* you’ll know exactly what to say. To find out more about you as a person interviewers sometimes turn to *behavioural interviewing* where you might be asked questions that require a direct – short answer and that might be a little *probing*. A sample question – *describe a time when you didn’t meet a goal, how did you handle the situation* – you may be asked to elaborate on your answers some tips you might find useful – review any research you have done about the company and position. Make a list of things you are looking for in a job and how this position fits your goals. Think over past interviews, what questions were you asked and how did you handle them? Do you have any interview questions that you’d like to share? Have you been asked questions you struggled with? Perhaps you can pose some questions for our readers to answer?